It's May 25th and that means it's Rudolph Day at Scrappymo's. I have a very quick and easy card for you today - extra quick and easy actually because I had already stamped and coloured the image for a different project but then decided to use a different one, so it was ready and waiting to go. Along with my snowman I have used papers from an old craft magazine goody pack, a peel off greeting and some of Lidl's fab snowflake stickers. A wonderful Rudolph Day card Jane, I love the snowman and the snow flakes. Love that snowflake design paper and l love cards that just come together all by themselves . Hugs Mrs A.
Wow love the colour mix Jane. Handy to have something already pre-coloured and to be able to use the stickers, to create this cute card. 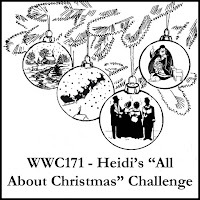 Love the snowman image. 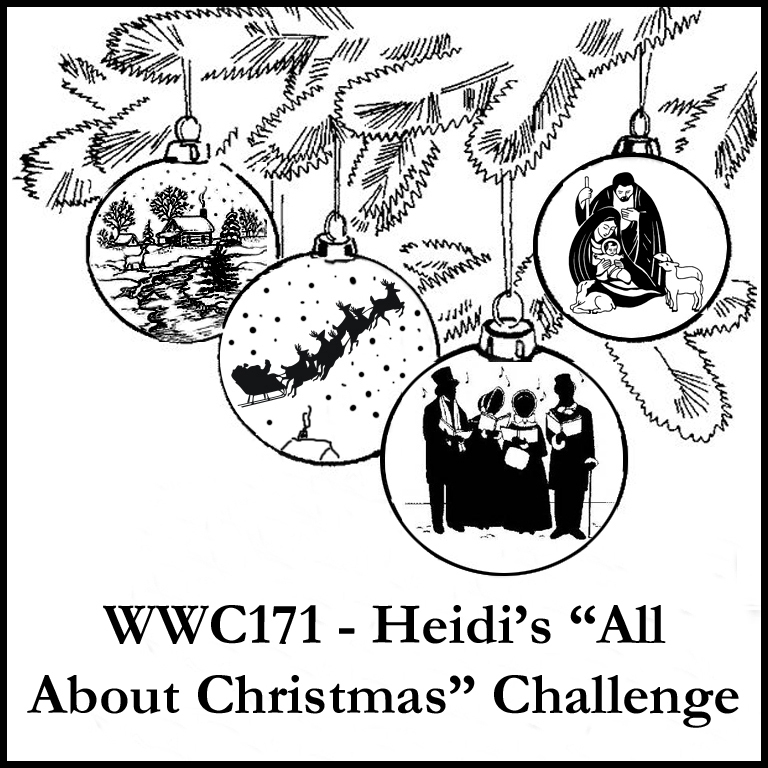 Thanks for sharing in the Watercooler Wednesday "All About Christmas" challenge this week. Great card! So cute, love that snowman and great use of stickers. gotta get busy myself haven't made a CC in a month. Fab card! The snowflakes from Lidl look so pretty and I am enjoying your non traditional colours here. I am in awe of this color combo, and it looks perfect for this cute Christmas make! I love the snowflakes along with that cute snowman! NJ! A really super card with a cute image and a super design. What a lovely mix of Christmas papers for your adorable snowman image, Jane. Love those silver snowflake embellishments as well. A great design. Thanks so much for joining our Watercooler Wednesday Challenge this week. So so pretty!!! Thanks for playing along with us at the WWC! !